Lightweight packaging foam sheets are odor-free, non-dusting and resistant to moisture. Thousand of cushioning air cells protect against abrasions and shipping damage. Use as a void fill, interleaving or surface protection. 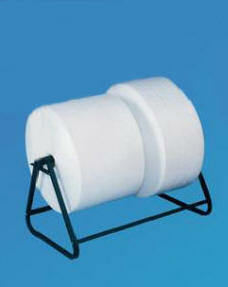 Foam packing material is heat sealable and reusable.